If you need to find a Miramar Car Accident Attorney that is reliable, call the Law Offices of Robert E. Gluck, P.A. 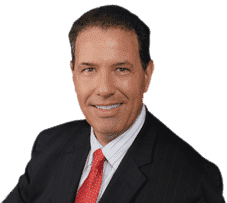 Since becoming a lawyer in 1989, Robert Gluck has been providing clients with legal representation in their car accident cases. He will fight hard for you to prove someone else was at fault for your accident and make sure you receive the financial compensation you need. Your Miramar Car Accident Attorney Robert Gluck will need to launch a thorough investigation into your accident and gather all of the evidence he will need to build a strong case for you. He will have to locate and speak with any witnesses, take photographs of the accident scene, secure video footage, and obtain any other evidence he can find. It's important to hire Robert Gluck as your Miramar Car Accident Attorney as soon as you're injured in a car accident. This will ensure he will be able to gather all of the necessary details and evidence for your case. He will make sure you're treated fairly throughout your case and the at-fault party is held financially responsible. According to some studies, being represented by a Miramar Car Accident Attorney may get you a higher compensation than if you try to take on your case by yourself. You shouldn't have to go through this difficult ordeal on your own. Robert Gluck and the team at the Law Offices of Robert E. Gluck, P.A. will be there for you every step of the way.